CHARLOTTESVILLE, VA – October 19, 2015: This week, online job marketplace ClearedJobs.Net is featuring SHINE Systems & Technologies (SHINE) as their Employer of the Week. ClearedJobs.Net is a veteran-owned career site and job fair company for professionals seeking careers in the defense, intelligence and cybersecurity communities. Serving both job seekers and employers like SHINE, ClearedJobs.Net provides online services as well as offline events tailored to the unique needs of the security-cleared and cyber security communities. SHINE will be featured as a top employer offering full and comprehensive benefits packages; a collaborative, diverse, and creative work culture; opportunities to get involved in our local community and a work-hard/play-hard atmosphere. During the coming week, ClearedJobs.Net will feature SHINE’s job listings and corporate video across their social media platforms; and also highlight our company in their Job Seeker newsletter that is sent to 137,000 readers each week. 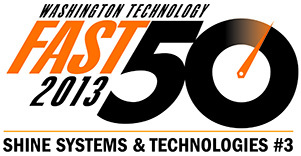 For more information on working at SHINE Systems & Technologies, please check out our Job Postings page and make sure to follow ClearedJobs.Net this week on Twitter: @ClearedJobsNet, @ClearedMilitary, and LinkedIn at https://www.linkedin.com/company/clearedjobs-net. SHINE Systems & Technologies (SHINE) is an SBA-certified HUBZone small business, headquartered in Charlottesville, Virginia. SHINE Systems is at the forefront of innovation in our core competencies of Decision Analytics including Military, Identity, and Business Intelligence; Technology Integration; and Mission Support Services. We develop value-driven solutions for our clients across federal, state, and local government as well as the commercial sector using our industry knowledge, service and product expertise, and ground-breaking technical capabilities. 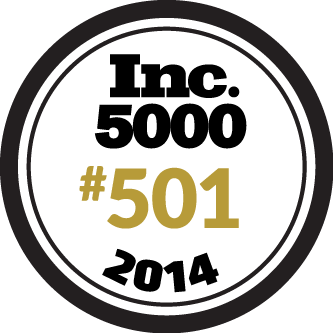 For three years running, SHINE Systems has been recognized on the Inc. 500|5000 list of fastest growing private businesses as well as #3 on the Washington Technology Fast 50 fastest growing small businesses in the government market. To learn more, please visit www.shinesystech.com.